Copper, silver and gold alloys were used as the conductor material in Golden Sunrise. 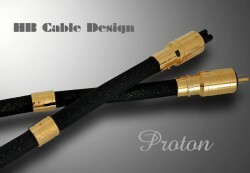 Yet the main factor that determines the superior quality of this cable is the specific composition of its interior, which has just been further enhanced. The energy supplied by the PowerDragon is unique in terms of volume and consistency. No additional voltage filter, power conditioner or other accessories should stand in the way and impede the strong and steady flow of electrical energy provided by the PowerDragon. 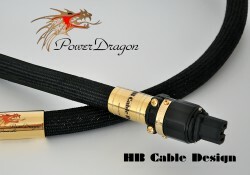 The PowerDragon allows every component configuration to develop its inherent musical potential to the fullest. This is where comparisons end for ever-searching high-end enthusiasts. 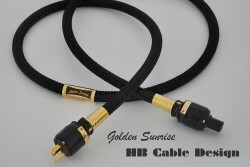 More information about our new reference power cable: coming soon! 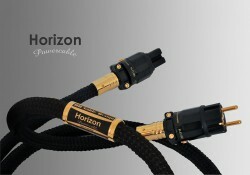 The Horizon power cable is ideally designed to bring out the full potential of PowerStar Horizon power strip. Even used by itself or paired with power strips manufactured elsewhere, the Horizon ensures the delivery of an entirely distortion-free and powerful energy supply to your components. With the Powermaster No. 1 we offer high-end enthusiasts the optimal power connection for all digital and analog high-end components. The Powermaster No. 1 is double shielded to deliver a distortion-free flow of current with minimum loss. The result is a phenomenally clean and balanced tonal response.